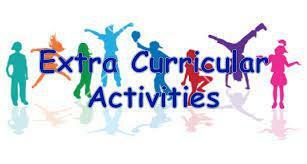 At St. Michael’s we offer a great variety of extra-curricular activities. Being able to offer our children a wide range of diverse extra curricular activities is very important as it encourages them to become independent, confident and successful members of the community. Clubs change on a termly basis in order to offer as much choice as possible. Letters will be sent out for your child to select their preference. There are a limited number of places available so we aim to share these out fairly.